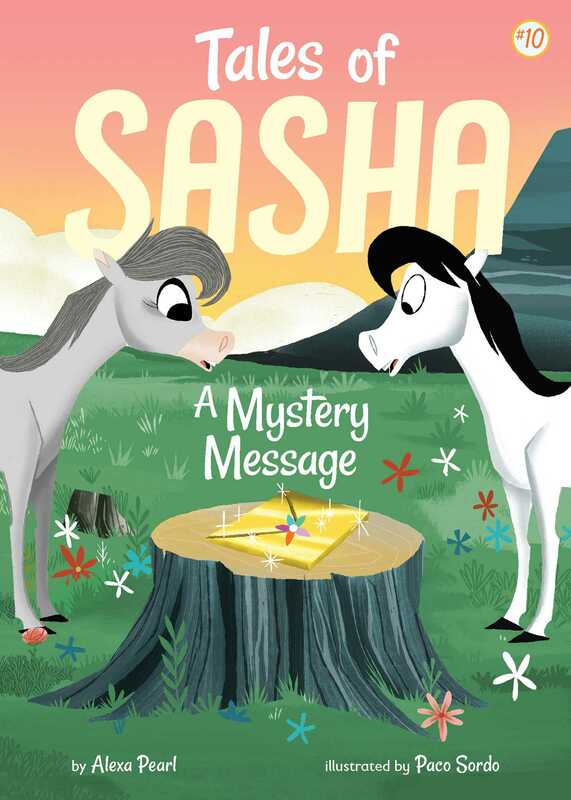 In book ten of the Tales of Sasha series, Sasha must solve a riddle to discover the contents of a special message! When flying horses from the Royal Guard arrive in Crystal Cove to deliver a message for Sasha, she can't imagine what it could be! But in order to open it, Sasha must first solve a riddle, which requires her to find the petals of rare and different-colored flowers. Will Sasha be able to solve the puzzle to reveal what the mystery message is all about?